Award winning ASBCI members SCI Textiles hosted their first technical visit for ASBCI members earlier this week. The visit provided an introduction to the work that they carry out in the garment restoration and rectification areas of the industry. The day was facilitated by ASBCI Marketing and Membership Director Garry Knox, alongside Pam Bains (Textile Operations Director) and Dawn Beasley (Production Manager) of SCI Textiles. The group of 10 members learnt more about restoration, which focuses on damage caused by fire or flood and is carried out in partnership with insurers and damage management companies. In addition, the group discovered how SCI Textiles treat mould damage on garments (often in their thousands) through SCI's rectification process. The day included a tour of their facilities, showing everything from initial sorting through to re-packaging. 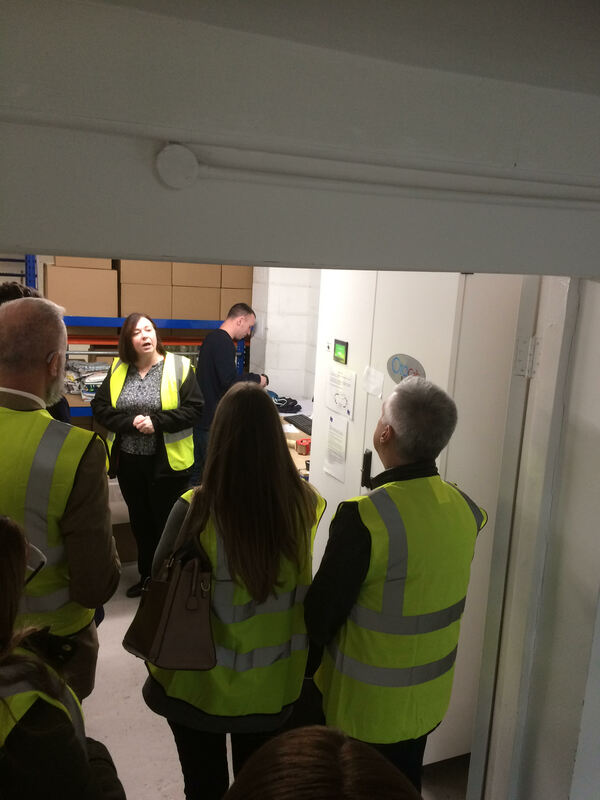 The group were showed all of the equipment, with particular interest being paid to the Ozone Cabinets which are effective in removing odour and halting the growth of mould after cleaning. To find out more about SCI Textiles,visit their website.